One of two showrooms at Stokley’s Marine featuring our full line of boats, accessories store, parts and service departments, and dedicated support team. In 1972, Jim and Patricia Stokley opened Stokley’s Marine in Lexington, Kentucky, to meet the needs of Central Kentucky boaters. Almost fifty years and thousands of happy boaters later, Stokley’s Marine is a second-generation, family-owned dealership that has become the signature of boating excellence in Kentucky. In 1981, Ralph joined his mom and dad at the dealership. A University of Kentucky business graduate, he brought a love for fishing, water-skiing, and tubing to the dealership. Ralph began his nearly forty-year career as a boat mechanic, expanded into sales and service, and now leads a team of dedicated employees. The Stokley’s team is made up of the industry’s most qualified and passionate boaters, and they give their best every day. Ralph Stokley’s commitment to excellence is reflected in his devotion to his customers. He is on-hand at the store nearly every day, and customers are always welcome to talk talk with him personally. 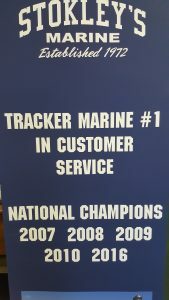 That devotion to customer satisfaction has earned Stokley’s Marine “National Championships” in customer service in 2007, 2008, 2009, 2010, and 2016. 2012–After years of selling Sea Ray and Crownline boats, Stokley’s becomes Central Kentucky’s exclusive Cobalt dealer, offering the absolute finest in trailerable boats with yacht-class amenities. Cobalt’s uncompromising commitment to excellence extends from their 20′ Gateway series all the way up to the flagship A40 Coupe, including cabin cruisers, open bow runabouts, and specialized Wake Surf packages. 2015–Stokley’s responds to the booming demand for kayaks. Ascend kayaks and accessories are now available in the Bluegrass! 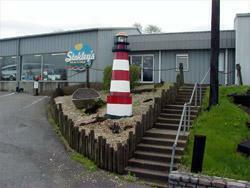 Stokley’s Marine is conveniently located on US27 between Nicholasville and Lexington, just 5 miles south of Fayette Mall. 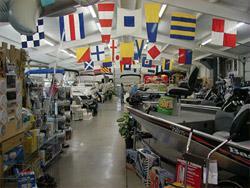 At Stokley’s Marine, we don’t just want to sell you a boat–we want to make you a lifetime friend and customer. Nearly fifty years is more than just a number at Stokley’s Marine…it’s a symbol of the best boating experience you will find from a family that cares.